In the last 24 hours we've had over 16 inches of snow. It is beautiful, but damn I am cold. 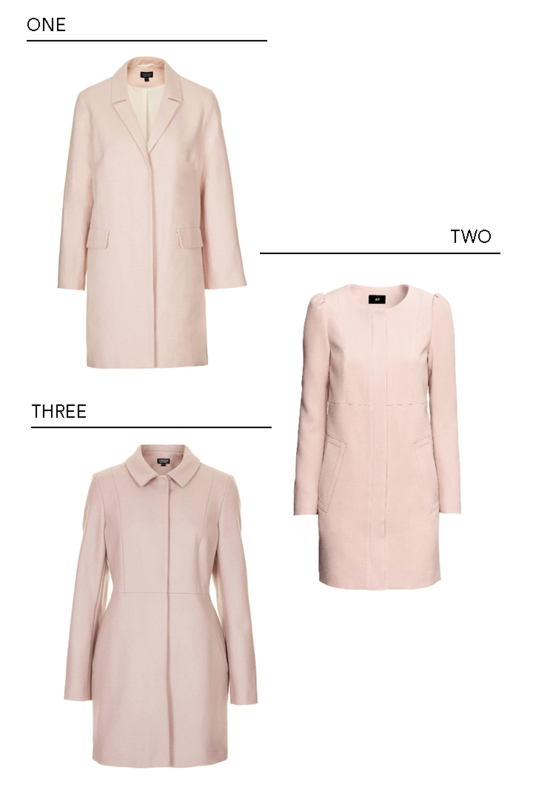 I don't have high hopes for an early spring, but I can make the transition a little easier with a pale pink coat. I think pastels are perfect for transitional weather. They let me pretend like it is warm and sunny, but I can still stay warm due to heavy materials like wool and canvas. So, while I try to dig myself out of this snow, I will be daydreaming about my future coat. Also, if you already own one I think it is the perfect piece to wear for Valentine's Day. Stay warm this weekend!